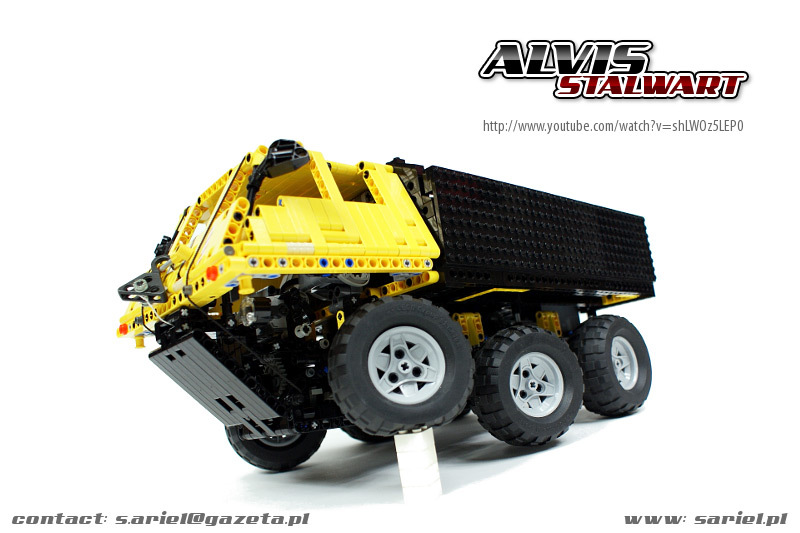 My another attempt to create a successful Truck Trial vehicle. 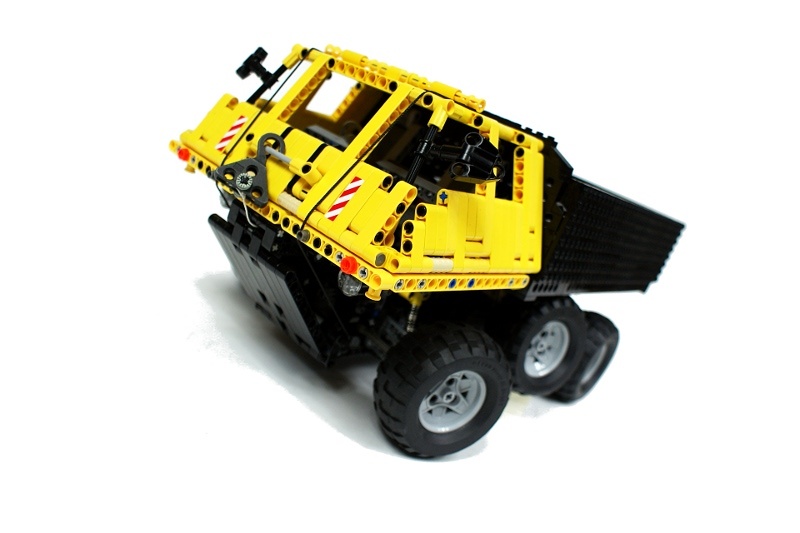 Having my previous experiences with Unimog U900 and Star 266 in mind, I focused on a vehicle that would be small, light, low and simple. 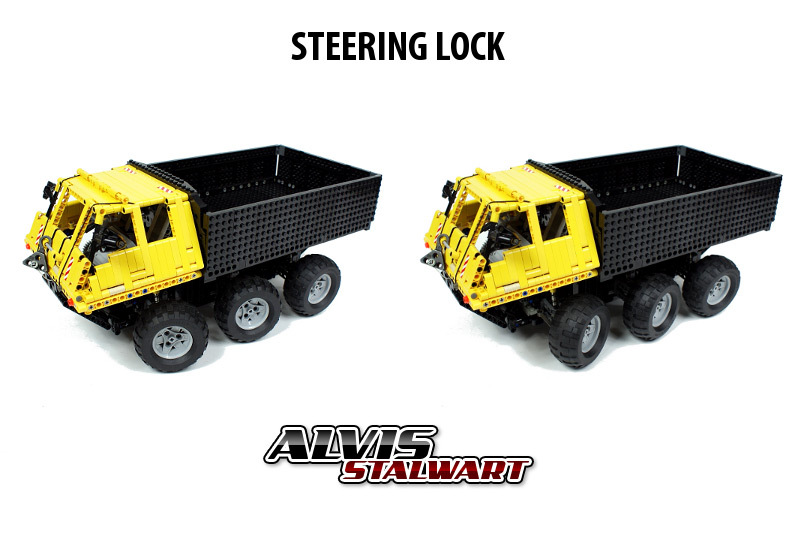 I have chosen to model the Alvis Stalwart truck because it was one of the shortest off-road vehicles with three axles. 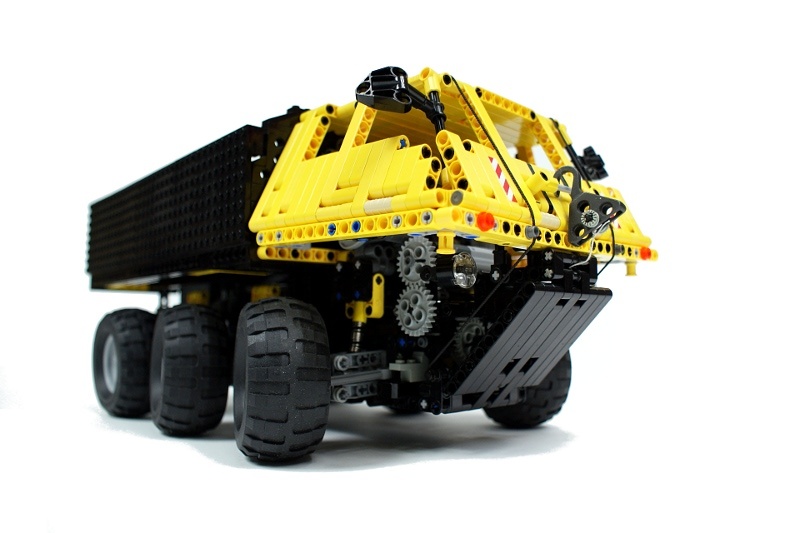 I liked the idea of having six wheels so close to each other, because if offered good traction and good weight distribution. 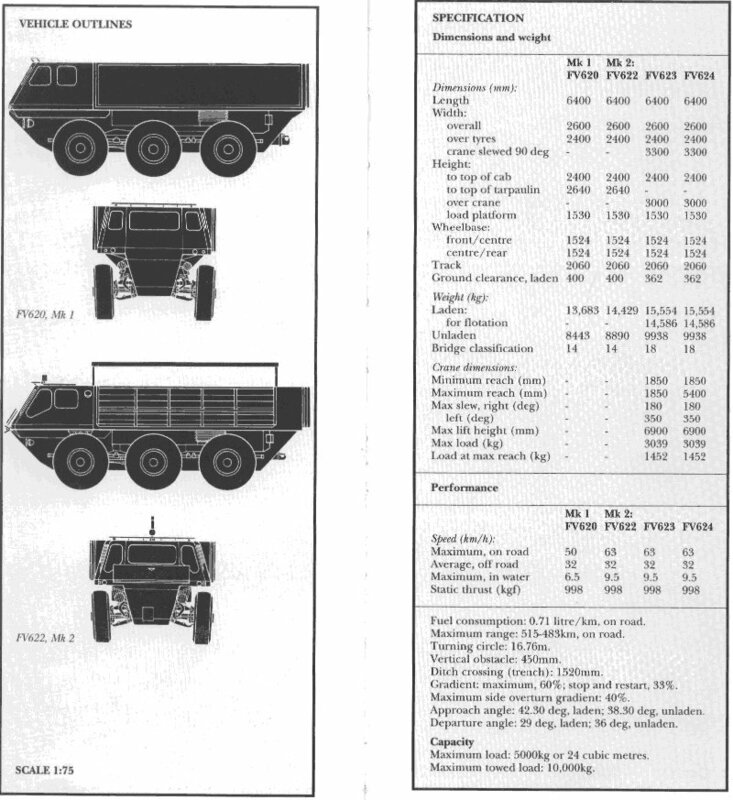 The chassis was complex but compact, built almost exclusively with liftarms. It consisted of two steered axles both of which were copies of the module I have used in the front axle of my earlier Hellbender model. The third axle was not steered. The intervals between all three axles were identical, which meant that the second axle was supposed to have 50% of the first axle’s steering lock. The problem was that two aforementioned modules were located in ‘mirrored’ positions in order to simplify the drivetrain. 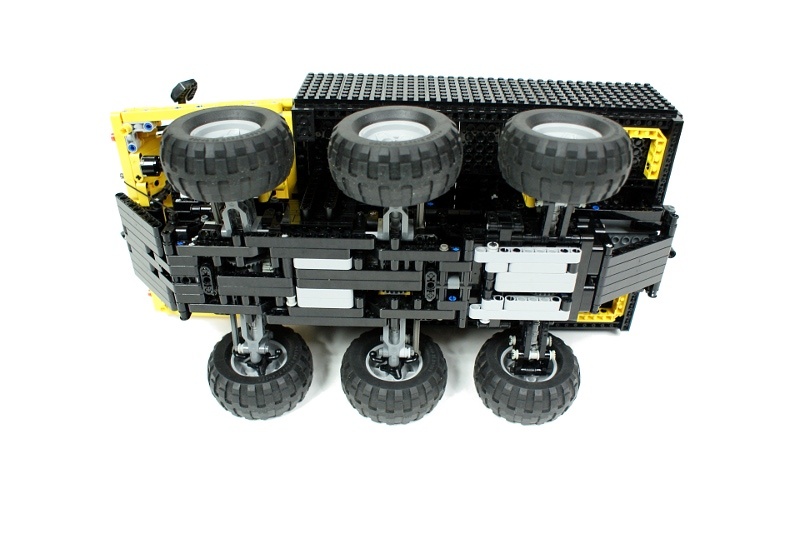 Therefore the steering driveshaft had to have its direction of rotation reverted between the modules. It was achieved with a simple setup of small bevel gears, but it also created a significant backlash. Initially there was 16-teeth gear in the first axle’s rack & pinion mechanism, and an 8-teeth gear in the second axle’s one. In theory it provided the desired difference in steering locks of two axles, but in practice that difference was heavily degraded by the backlash. I have solved it eventually replacing the 16-teeth gear in the front axle with a 12-teeth one. Coupled with the backlash, it created just about the perfect steering lock difference. 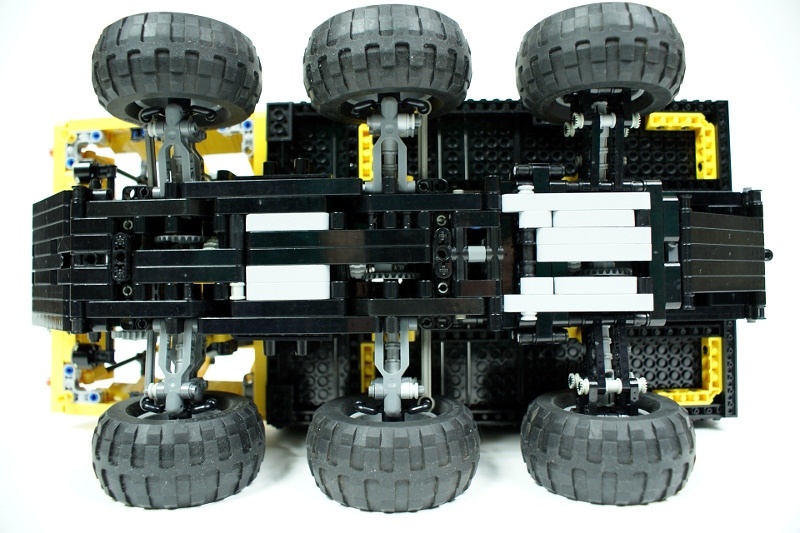 The drivetrain was somewhat complex, with two separate driveshafts for the third axle and for the two first ones. 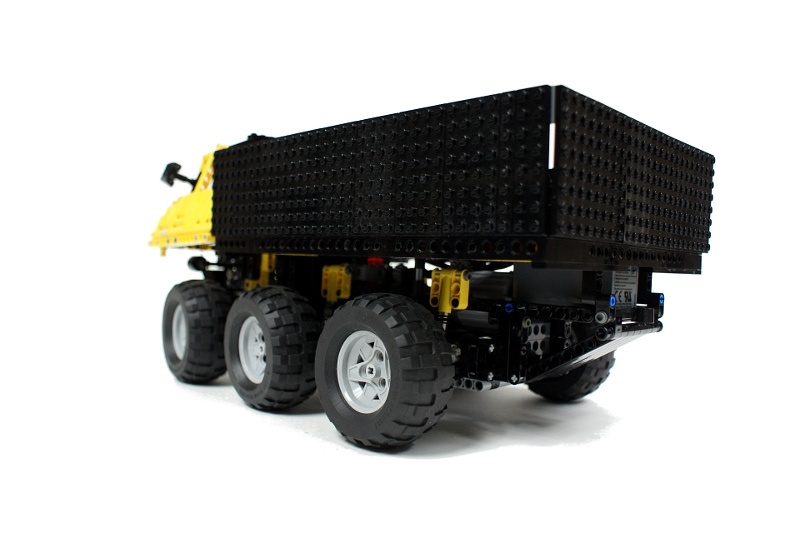 The model was driven by a single PF XL motor located just above the third axle, and the 8878 battery was located at the very rear end of the chassis – together with the PF XL motor it counterbalanced the weight of the cabin. I expected the front winch to be a very important part of the vehicle – it was driven by the drive motor through a driving ring with a quick release lever. When the lever was engaged, the winch was driven accordingly to the direction of vehicle’s movement. When the lever was disengaged, the winch was disconnected from the motor and the string could be quickly extended by hand. There was a number of pulleys used inside the chassis to reduce the friction of the string, and the entire winch was enclosed within model’s frame. The winch proved so powerful and robust that when forced to stop, the string split before there was any mechanical damage. 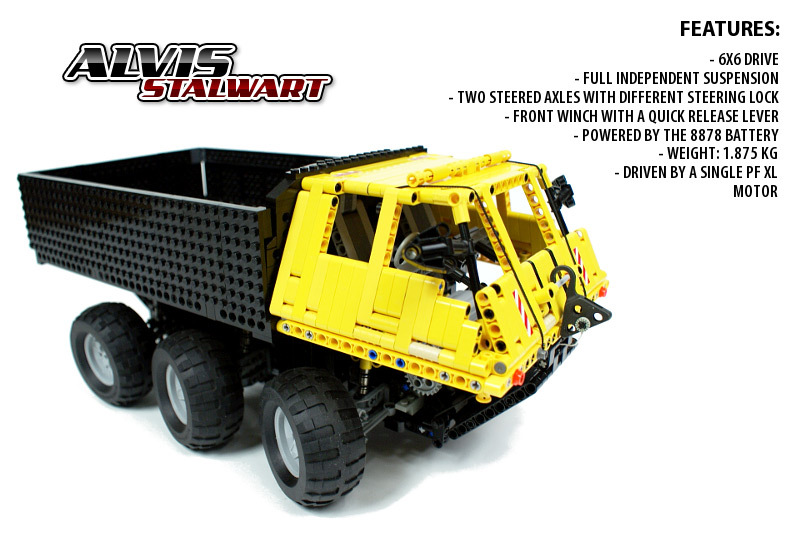 The model was a bit heavier than expected, but it had a very good weight distribution and the suspension worked flawlessly with its weight. It was also quite manoeuvrable and very, very stable. 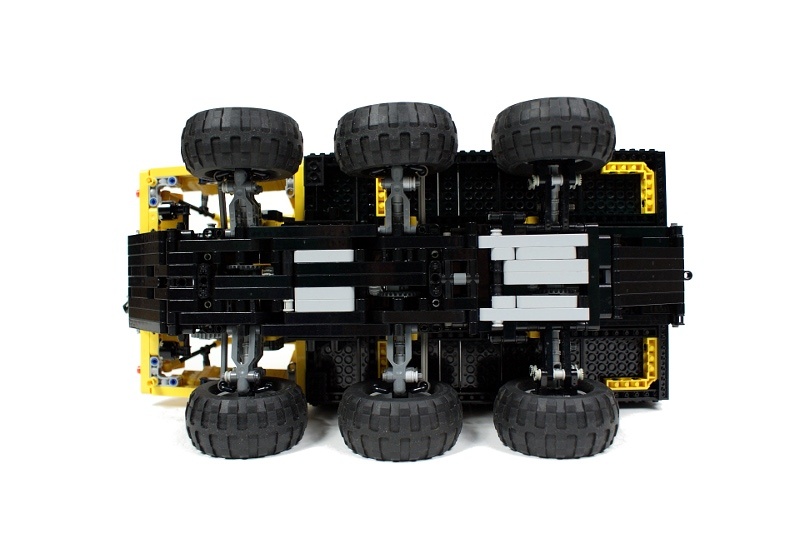 I expected the low ground clearance to be a problem, but it was helped by the bottom of vehicle which was covered by a protective layer of smooth liftarms, so that the model could slide over obstacles to some extent. The main problem of the vehicle was failing drivetrain plus non-lockable differentials. 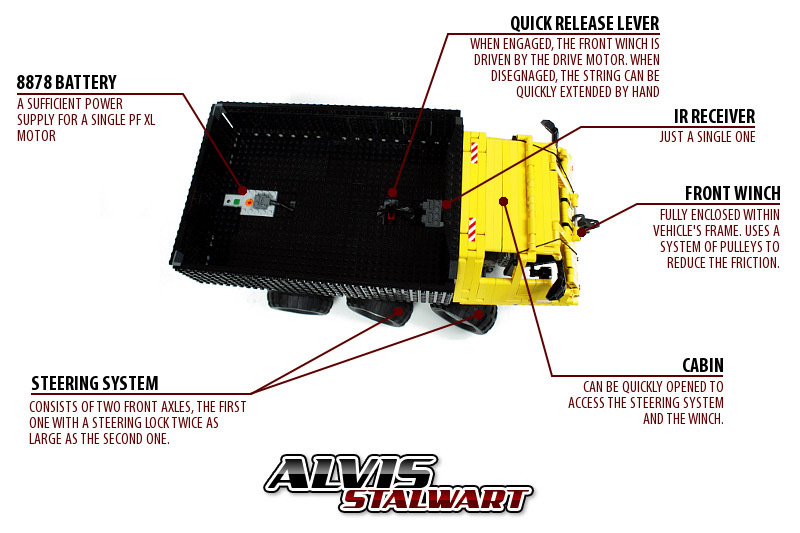 A lot of slip situations occured, and the drivetrain would snap when a really high torque was needed. 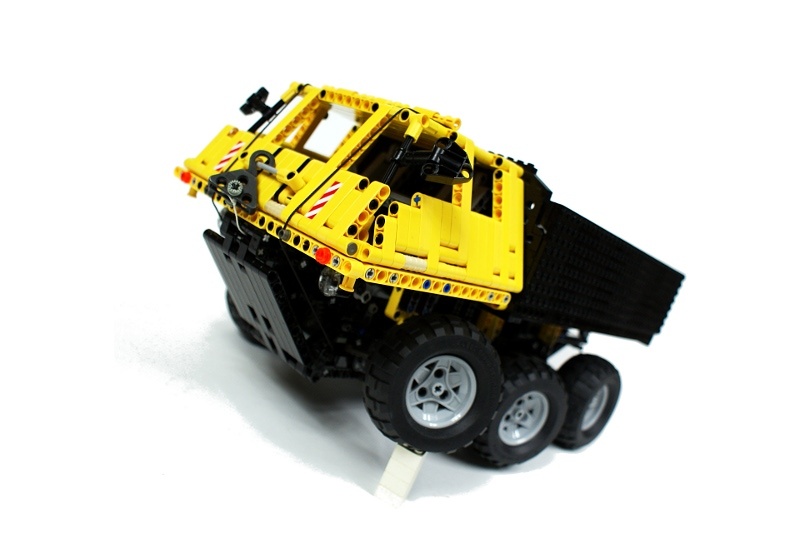 It could have been helped by the use of the winch, but it worked way below the vehicle’s travelling speed, which proved fatal – the winch was simply to slow to take the load off the wheels. It would work much better if the release mechanism disengaged wheels from the drivetrain as the winch was engaged. 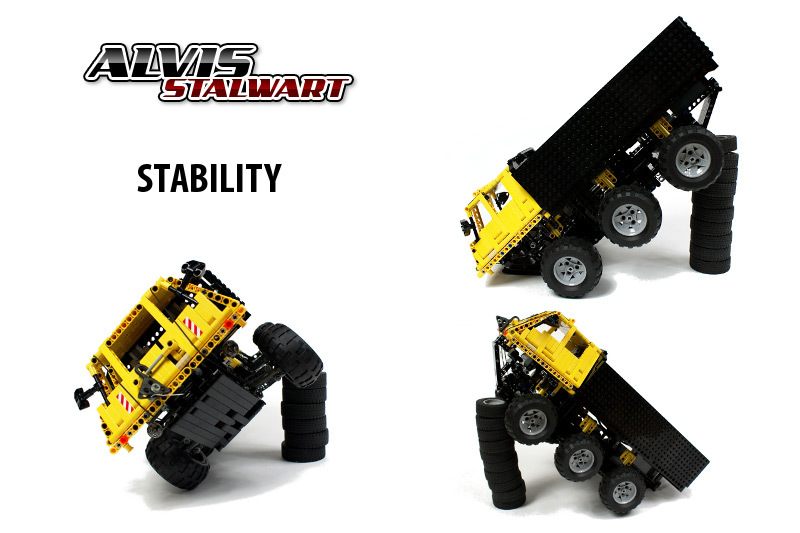 The model has lost its first and only race, but in some aspects it performed much better than any of my previous trucks – it remained stable at all times, it did not suffer any damage despite the use of many delicate parts such as CV joints or universal joints, and it did not formally malfunction – it simply suffered from the drivetrain being unable to handle high torque. It was also acclaimed by other Truck Trial builders for capturing the original vehicle’s look, which kind of surprised me. 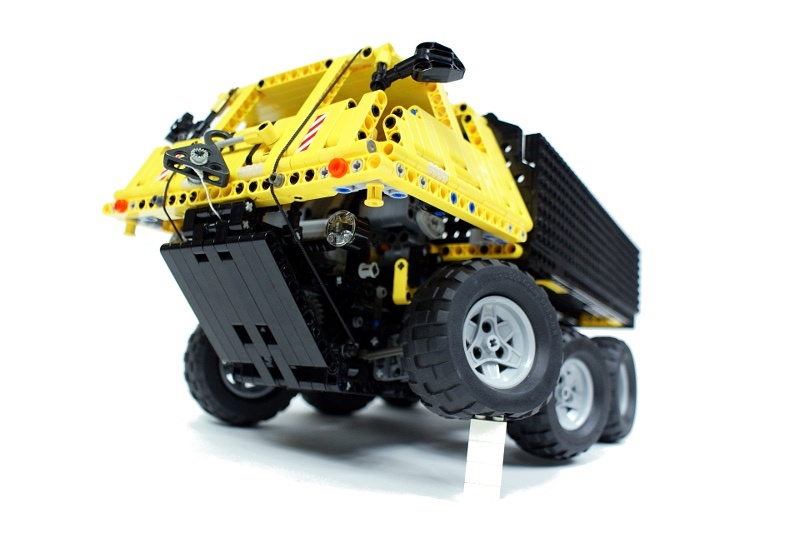 Moreover, the experimental use of the 8878 battery turned out to be a success – the model’s performance was not degraded, while its weight with a traditional battery box would exceed 2 kilograms. Well, I’m sure my book will help you. Brilliant model! Sariel, could you help? 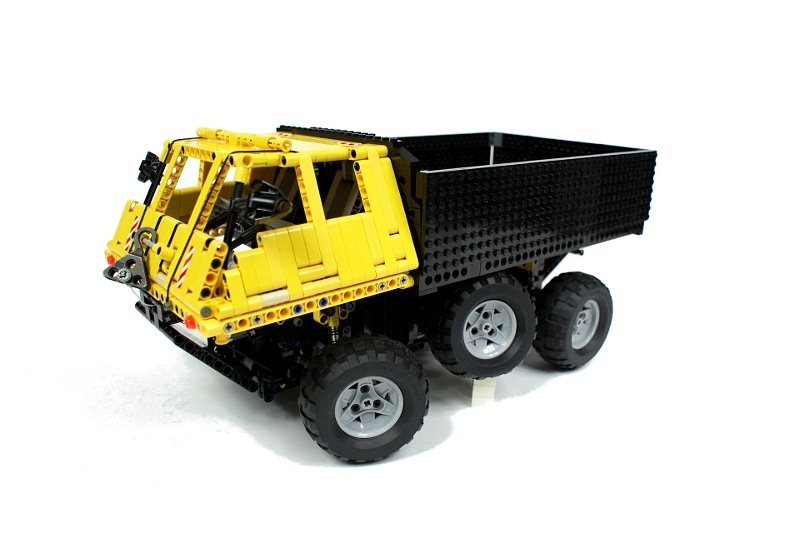 I want to make a trial truck but im stuck on how! P.S Just bought your book- Its FANTASITC! Hi paul! I have one question, does the independent suspension works well with hig amaunts of torque? great model! Very realistic, except for one thing: the differentials. The real life Alvis Stalwart didn’t have any differentials. What size are the alvis’ tyres ?